Every time we want to meet a friend, colleague or an acquaintance at a railway station, we normally do that under the indicator on the platform or within station premises. 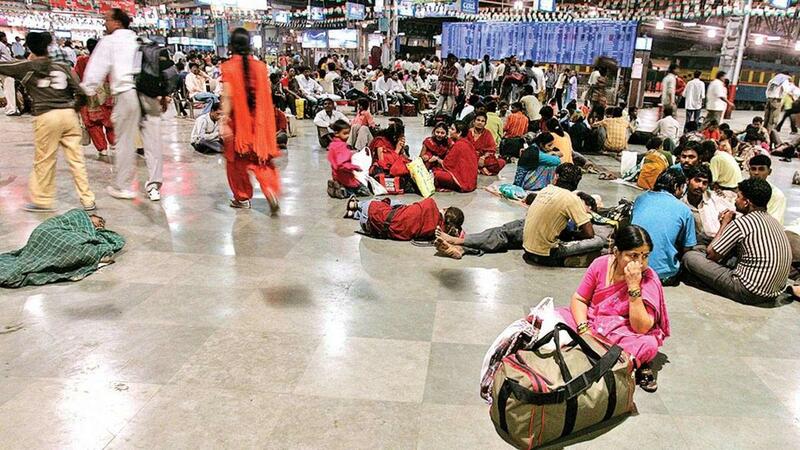 Now, the Indian Railways is proposing to create 'meeting points' at stations. This will be something like a place where commuters can meet and greet. Be it a pole, a bright coloured billboard or a stand, it will be a place to meet. "It is likely to be numbered so that people can identify meeting points and inform the other person," said a railway official. idea came about on Monday during the visits made by Chairman Railway Board Ashwani Lohani. While interacting with rail officials of Central and Western Railways, he said, they should study the feasibility of its working and how it can be implemented at railway stations. This is being done so that commuters don't crowd all locations and wait at specific places on the concourse. Sources said that this came about after he saw the overcrowded CSMT station. The other way to see it is that railway stations are already crowded and if specific areas are identified then it is possible that rush will shift to a particular point. These points can also be used in times of disasters — be it deluge or flooding during monsoons. The rail officials said that people can then assemble at these locations from where they can be ferried ahead. Right now, there are 'May I help You' desks that are available at stations which are used by commuters to sit and therefore, does not serve its full purpose.